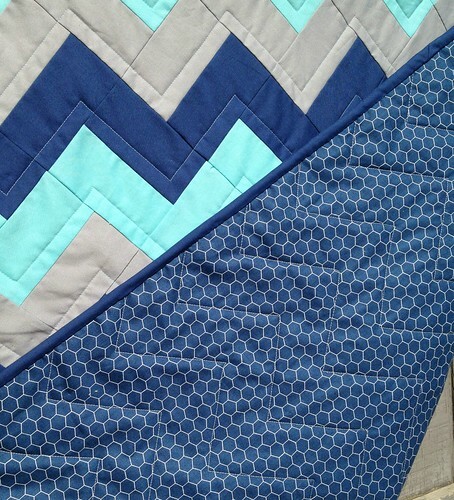 Today I'm finally able to share the baby quilt I recently finished. 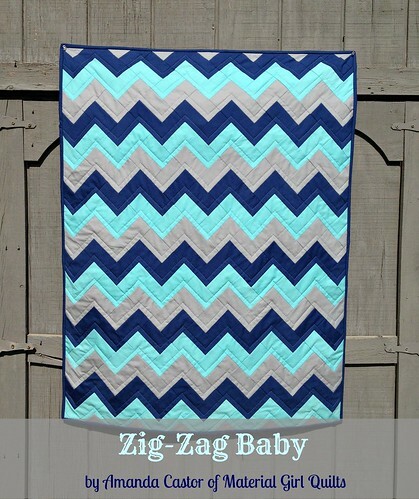 This is Zig-Zag Baby and you can find a tutorial on the Moda Bake Shop today. I made this quilt for a friend and his wife who were expecting their first baby together (and he arrived a bit early, so thankfully I had it done in time!) They are a fun young couple that live in the city of Chicago. 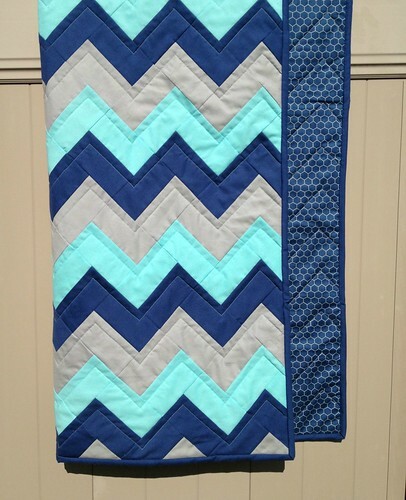 I didn't want to do a traditional quilt for them, so I created this quilt with a clean and modern style. 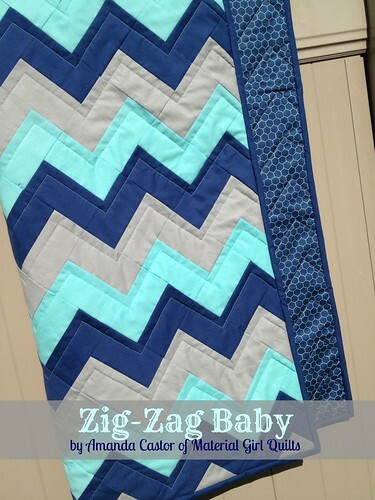 To keep it soft and snuggly, I did minimal quilting on the zig-zags using Aurifil 50wt thread #2805. 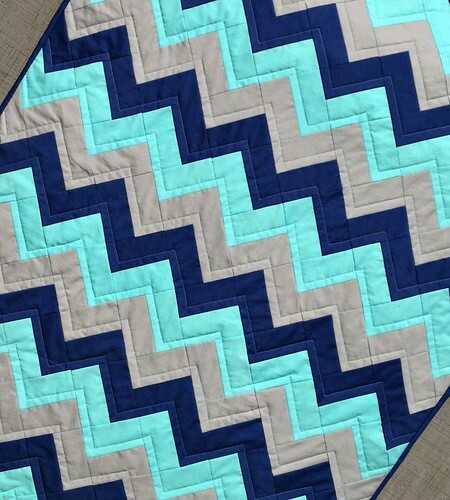 Head on over to the Moda Bake Shop to see how you can make this fun quilt top using just 3 charm packs!